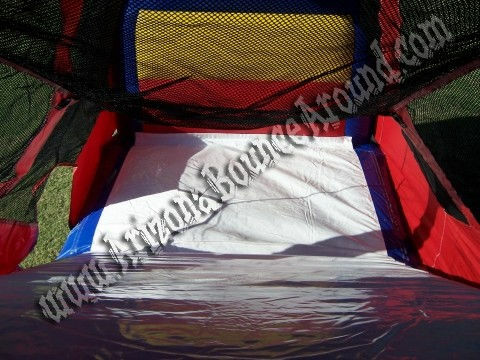 Our Inflatable Choo Choo Train Bounce House with duel lane slide is awesome. 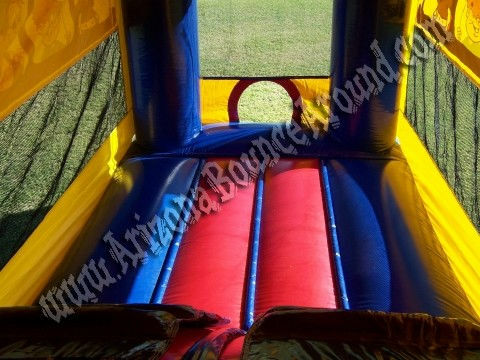 What a better way to complete any train party than to rent an inflatable Train Bouncing House. 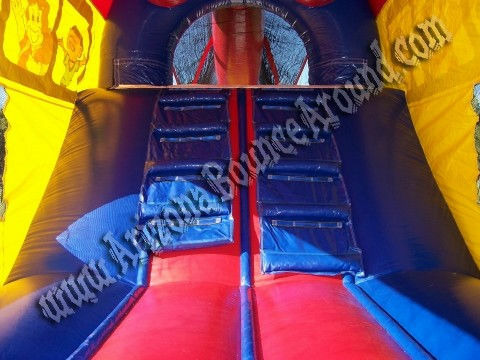 Our 3 & 1 Choo Choo Train Bounce house has a duel lane ladder climb inside and a duel lane really wide covered slide. Adults and kids of all ages can jump in the Bouncy area and use the slide. It also has easy an easy to climb front step for younger kids to get in and out of the train. This Choo Choo will bring smiles to anyone dreaming of a life with trains. 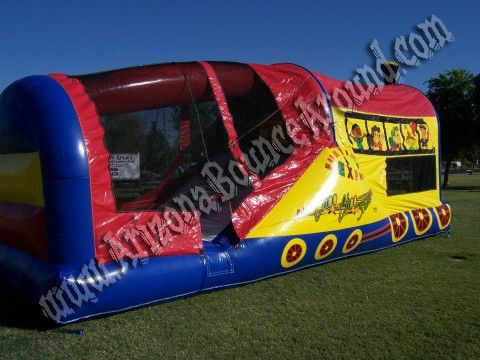 Leave it to Gravity Play Events to have all the unique Inflatable bounce houses including an inflatable Train moonwalk with beautiful artwork. Each little train engineer will have fun jumping and sliding on this train. The beautiful artwork shows the Choo Choo train conductor and passengers in the windows, and a three-dimensional stack on top of the train keeps this Choo Choo train bouncer chugging along! Perfect for Colorado Train Parks. We also rent trackless trains for the perfect train party.